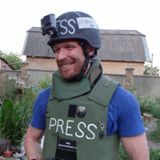 This morning I heard that Daniel Kasyanenko was killed in action during a mortar attack outside the Donetsk Airport. He was only 19, and he was a friend. He was a young man who was aware, more aware than most of us, of how the war was affecting him. He was afraid it would ruin his spirit, and that, at 19, he was already running out of time. I wrote this about Daniel in one of my articles. And in the video below, you can hear Daniel in his own words. We should all listen to what he had to say. Still from video: “This Is What the Ukraine War Looks Like: 8 Days on the Front Line” (below, in full). “We were sitting around the table one night after dinner when Daniel came by for a visit. It was dark when he arrived, hours past when he was supposed to have left his post. He had been in a battle that evening, he said, a bad one. There was sniper and machine-gun fire and artillery falling all around. He wasn’t even able to shoot back, he said, because it was so intense. He could only low-crawl through the trenches to find cover and wait it out. Yet, when describing the battle, he said: “It was really awesome. Really awesome.” He gave a thumbs up and smiled broadly. He looked tired, though, and when he sat down he chugged several glasses of water and then juice. He filled his plate with food and ate well. He glided easily into the conversation as if he were a 19-year-old just getting home from afternoon sports practice rather than a day of combat. Daniel had a soft, tanned face, small dark eyes, and patchy young man’s beard, which he had let grow around his neckline and upper lip like many other young Ukrainian soldiers. He wore a cross on his wrist. He spoke English in a staccato, halting way, sometimes staring off when he was stuck on a word, either because of the translation or because he was explaining an idea that is hard to express in any language. Daniel was unique in his ability to put the toll of the war in context. Even at his age, he already understood the unalterable changes occurring in him. He recognized that he was spending the formative years of his manhood in a place where all that life owed him—years, love, family, career—all those things could disappear any second in a white flash and red heat and dark nothing. 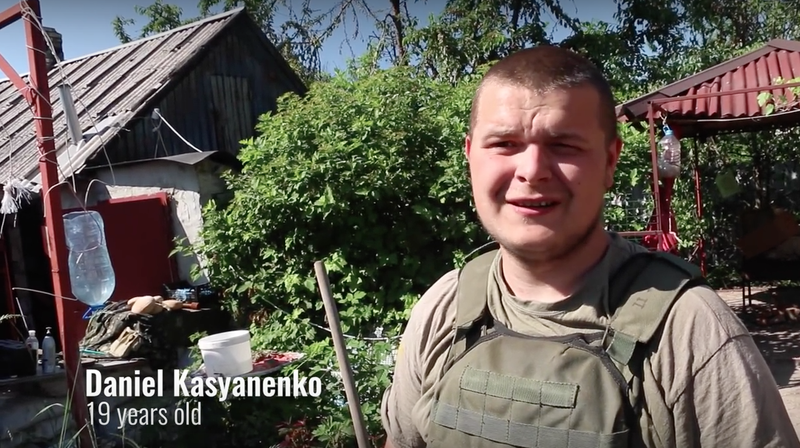 [Editor’s note: Daniel Kasyanenko was with the Ukrainian Army’s 93rd Mechanized Brigade stationed in Pisky].